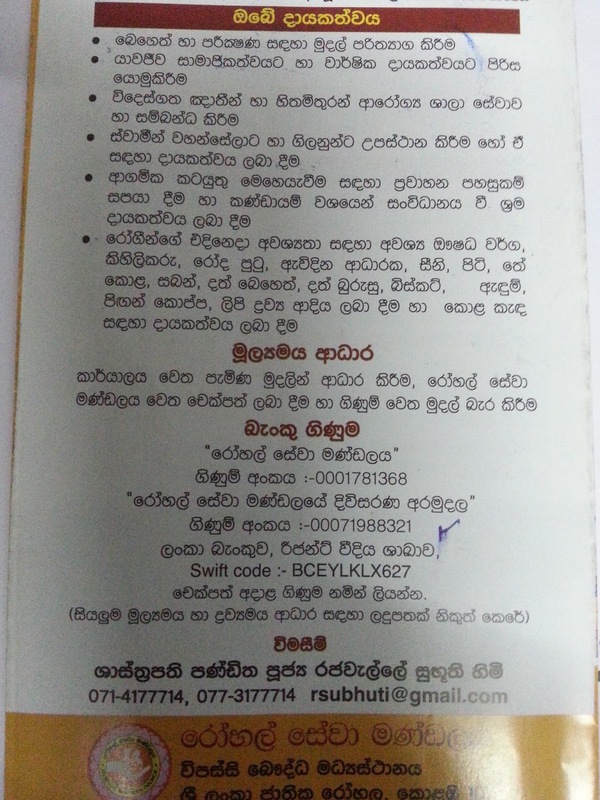 Many Sri Lankans always like to help, those who are in need. But its always not easy to find information about who actually need help. There are many fraudsters. 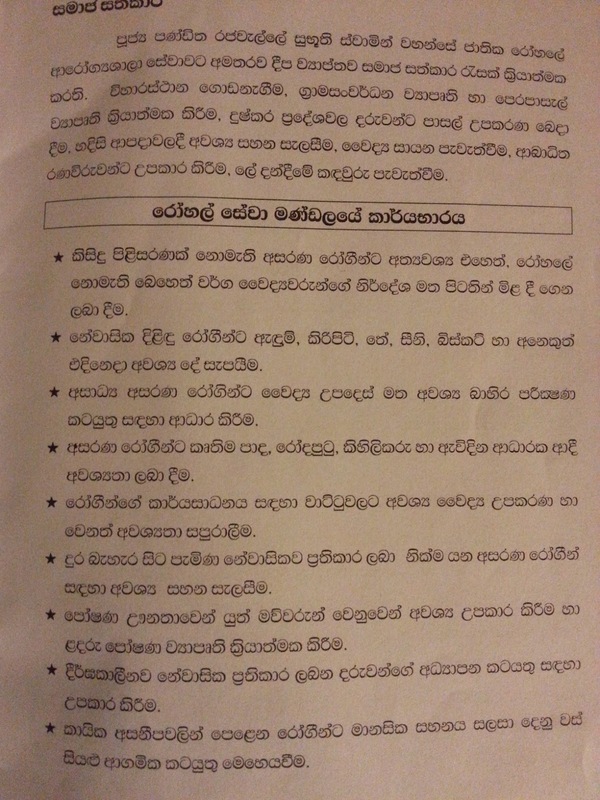 Being an auditor who audited number of such NGOs in Sri Lanka, needless to say I always have a very suspicious eye on where I recommend my friends to donate. Here's a quick note on a very good organization. 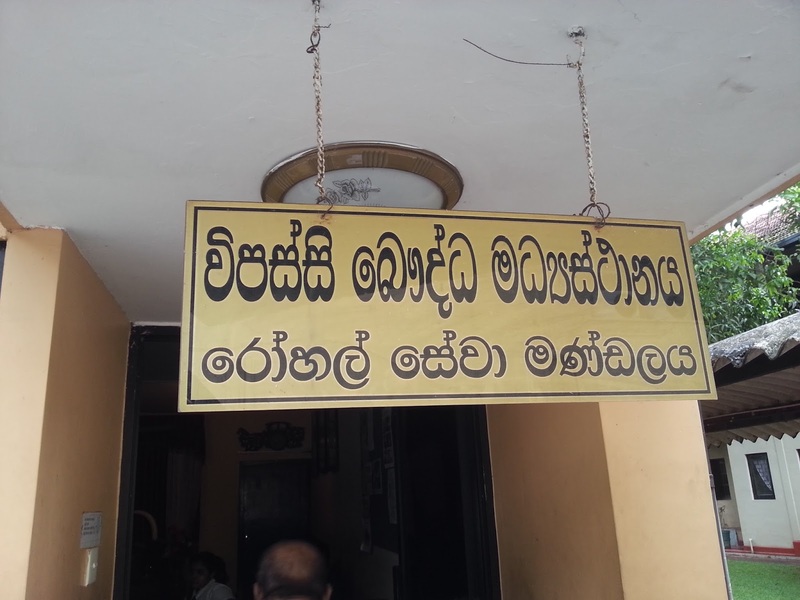 We came across this organization who silently helps thousands of poor patients reside in national hospital of Colombo Sri Lanka. This is a charity foundation which touched my heart. 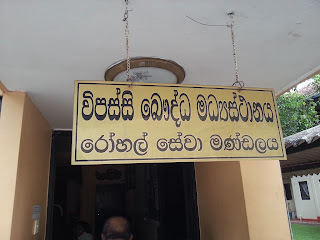 Name of this charity is Hospital Services Board, situated inside national hospital of Colombo. 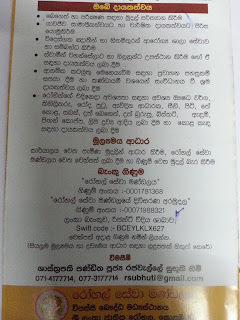 Approved charity by government of Sri lanka. This organization is giving relief only upon submission of a written form by a head doctor of a ward (at national hospital) confirming the medical need of it and the head nurse of the ward conforming the low level income or wealth of the family of the patient. So only, the poorest and most needy patients in the wards only will get benefits from this. 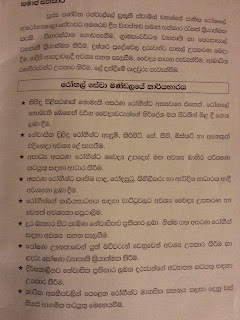 Medical facilities are free in Sri Lanka. Thousands of people arrive at the national hospital in Sri Lanka during a day for various treatment. Some of these patients are quite below the poverty level. They do need help. When such patients arrive, head doctor and head nurse of their resident ward, informs hospital services council (in writing) about the need. Upon such requests, they provide below reliefs. 1. Buying expensive medicine required for urgent operations. 2. Providing daily tea, biscuits, cloths etc items to patients reside and in OPD. 3. Providing financial assistance for critical patient’s external medical test requirements. 4. Providing wheel chairs and similar material to patients, who cannot walk, broke the spine etc. 5. Helping the educational needs of the long term resident patients of the children ward. What can the donors do? Please visit the office inside national hospital and donate. Since they give reliefs to people on daily basis, donors can go to the patient’s bed along with officers and hand over the reliefs. All donors will get a receipt. Call 0718 268645 or 0714 177714 or 0112 692018 for more details. Can transfer funds to their bank account. Who does the administration of this? 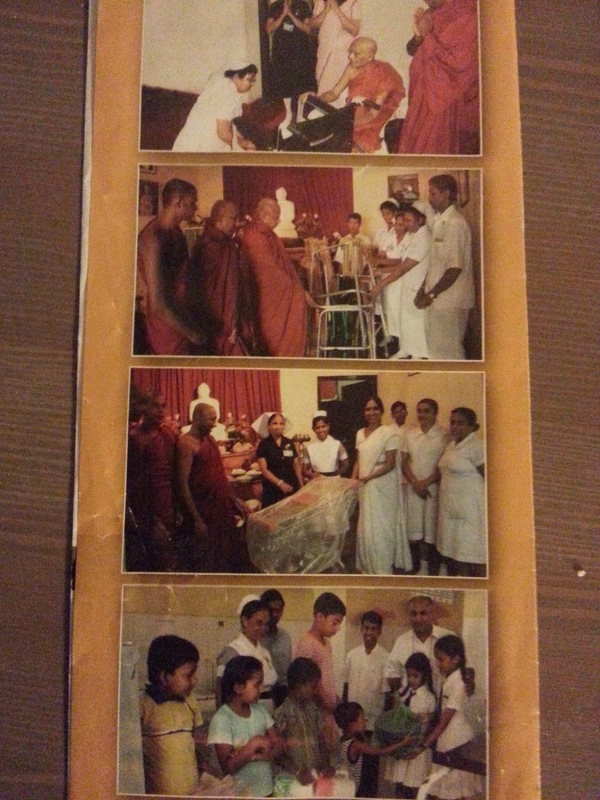 Administration is done by most reverent Buddhist priests along with minister of health, director of national hospital, assistant directors , head nurses and a group of officers. Started in 1984 by most rev Madihe Panyaseeha thero and the current director of this is Rajakeeya panditha Rajawalle Suboothi thero. Unlike many charities, this organization have a clear audit report. Auditors are KPMG Sri Lanka. p.s - This article is solely for the reading of donors. If you are thinking of obtaining some kind of benefit from this organization, please do not go there and bother the staff. Staff cannot give away any material as they work under strict guidelines. They only cater for the urgent poor patients at national hospital. They cannot fulfil the demand within the hospital. Therefore they will not be able to cater for any patients outside national hospital, on personal requests.